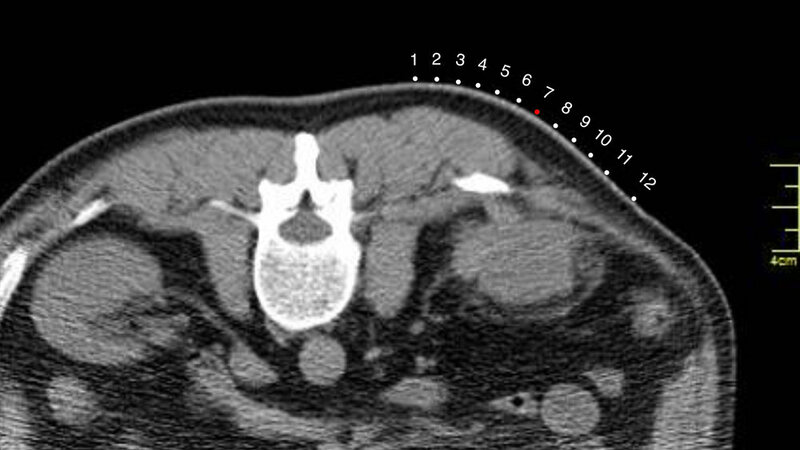 TRY THE FAST FIND GRID FOR YOURSELF AND DISCOVER HOW EASY AND ACCURATE A CT BIOPSY CAN BE. Send us a message and we will contact you for additional details and to answer any questions you might have. A family owned business, we show customers our genuine appreciation by shipping orders the same day we receive them. Use the form on the right to contact us with any questions you may have or to order free samples of the Fast Find Grid. We will contact you as soon as possible. You can also reach us by phone: 215-336-5570 (9am-5pm, EST). 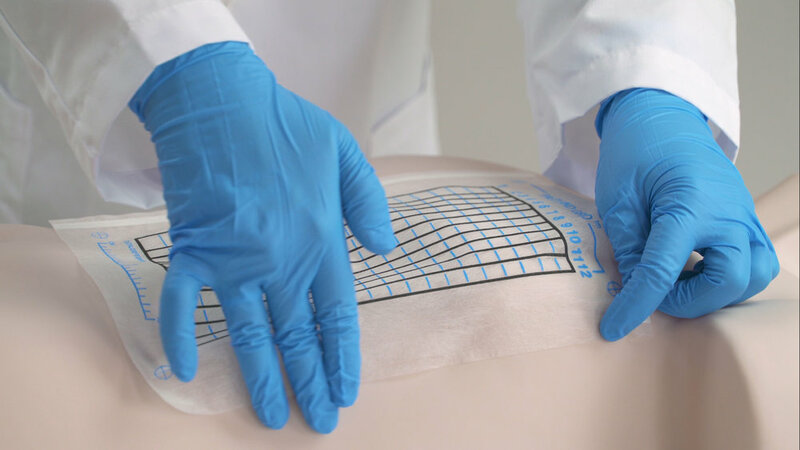 Webb Medical's low-cost, patented solution to fast and accurate CT biopsy and drainage procedures: The Fast Find Grid. Convenient and streamlined, hundreds of hospitals worldwide depend on The Fast Find Grid for ensuring every needle localization is efficient and precise. 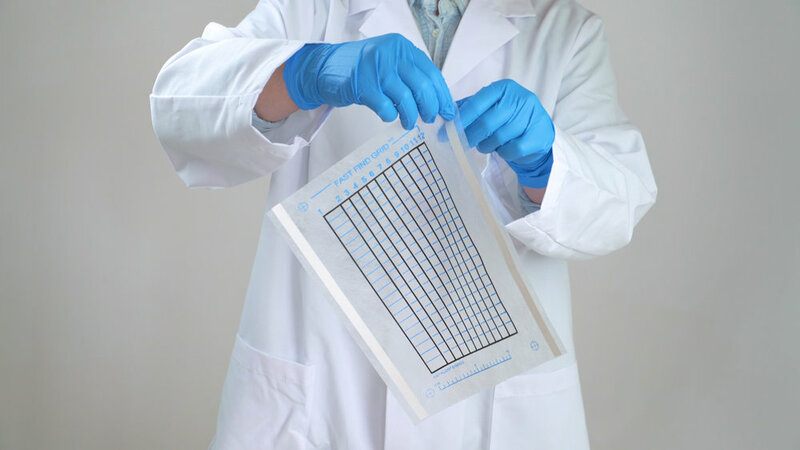 The Fast Find CT Biopsy Grid is a disposable tool used for CT guided biopsy and drainage procedures. The Fast Find Grid saves time and money while ensuring accuracy. SIX SIMPLE STEPS TO GUARANTEED SPEED, ACCURACY, AND PRECISION. Place and scan over the area of interest. Notice the twelve dots on the skin surface. Determine which dot best represents the point of entry. Mark through the grid with a felt tip pen where the laser crosses the line. Remove the grid and perform your biopsy. STEP ONE: Remove backing from tape. STEP TWO: Place and scan over the area of interest. STEP THREE: Notice the twelve dots on the skin surface. STEP FOUR: Determine which dot best represents the point of entry. STEP FIVE: Mark through the grid with a felt tip pen where the laser crosses the line. STEP SIX: Remove the grid and perform your biopsy. Order your free sample of the fast find grid today! © Copyright 2017 Webb Medical LLC, all rights reserved.